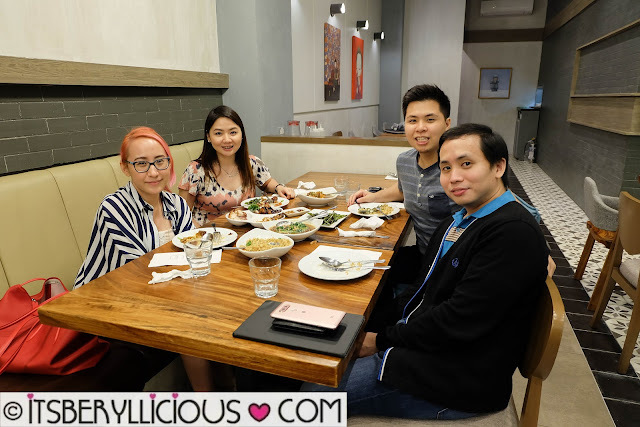 After our Namoo House experience, we've been eager to try other restaurants located in Uptown Parade near Uptown Place Mall in BGC. But since we don't frequent BGC as much as we did before, the plan was immediately pushed aside. Fortunately, the recent Gourmand Market gave us a reason to visit the Fort area since D's brother joined as one of the concessionaires. After going around the restaurants, we ended up at Char Casual Dining located at the second level. The name doesn't remind me of a particular cuisine, but from the sound of it, I thought it should be serving grilled, savory, and aromatic dishes. 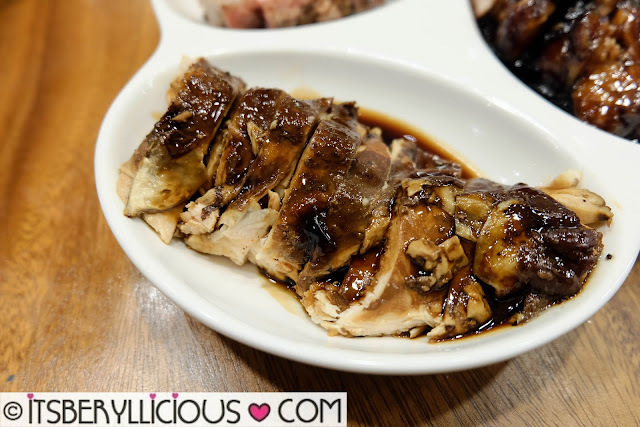 Turned out, Char Casual Dining is a franchise from Singapore that specializes in Cantonese roast meats. Since we were quite famished after coming from an archery session in Kodanda Archery Range in Eastwood, we thought of ordering some of Char's best-sellers. Of course, getting the roast meats is a must. We got the Triple Roast (P850) which features three of Char's signature roast meat: Soya Kampong Chicken, Special Char Siew, and Crispy Roast Pork Belly. The Soya Kampong Chicken (P200/qtr, P390/half, P780/whole) is marinated in a blend of soya sauce and Chinese spices, then poached for hours to create a tender and flavorful dish. 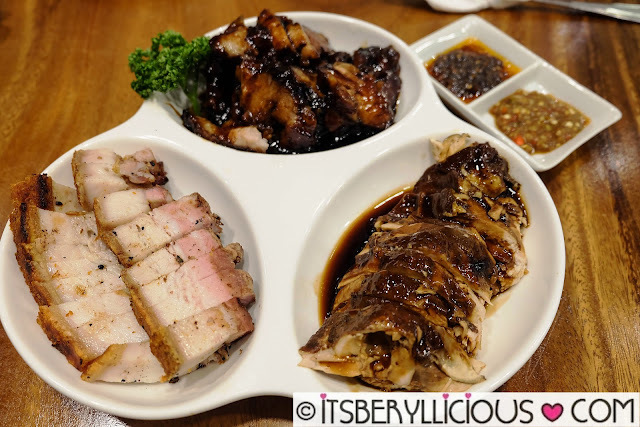 The Crispy Roast Pork Belly (P150/100g, P450/300g) was one of my favorite roasts. It was perfectly seasoned, with crackling skin and alternating layers of glorious fat and meat. Char's signature dish is the Special Char Siew (P100/150g, P450/300g) that uses a combination of modern cooking and traditional roasting. Just one look, and I knew I'd love this dish. There's a nice ratio of fat, that adds a burst of juicy flavors in every bite. My only concern was the sticky sauce, which I found too sweet for my liking. Take it from someone who loves anything sweet, this was just over the top. I guess pairing this up with some rice would be a great way to enjoy it. 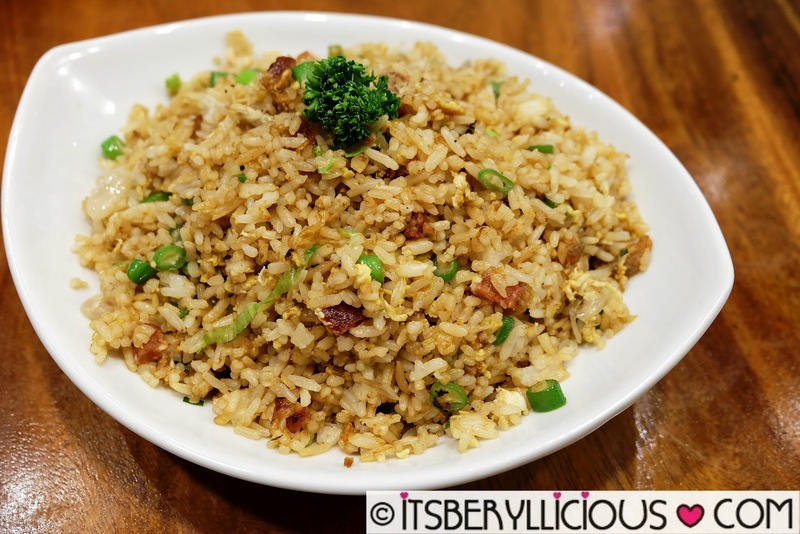 And so we did, by ordering this Chinese Sausage with Dried Shrimps Fried Rice (P220). It went perfectly well with the roasts, and was also quite enjoyable to eat on its own. For vegetable dishes, we got the Beancurd with Dry Scallops (P260) and Tatsoi with Dry Scallops (P260). 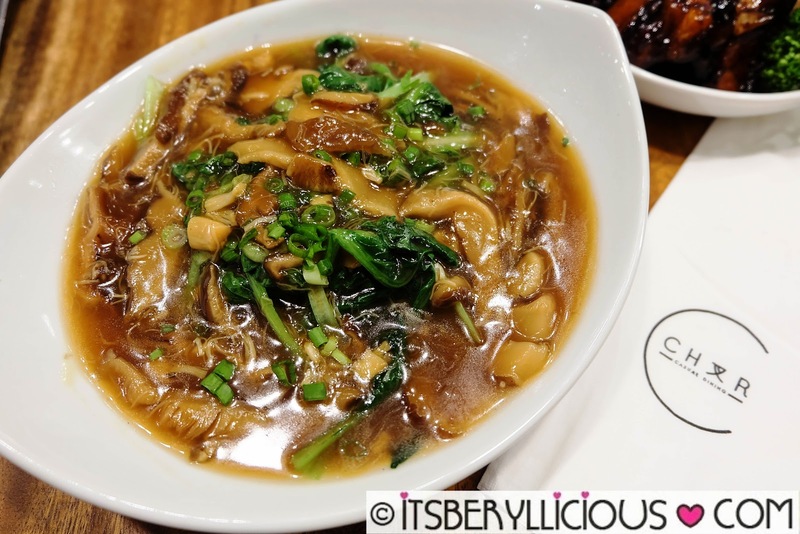 Both dishes have the same taste profile, since both were drenched in the same base sauce with dried scallops and mushrooms. 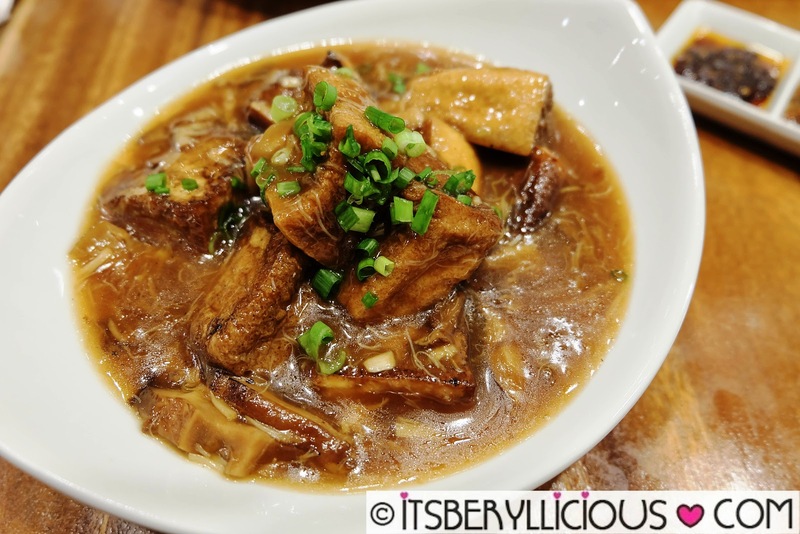 I personally prefer the one with the beancurd though. 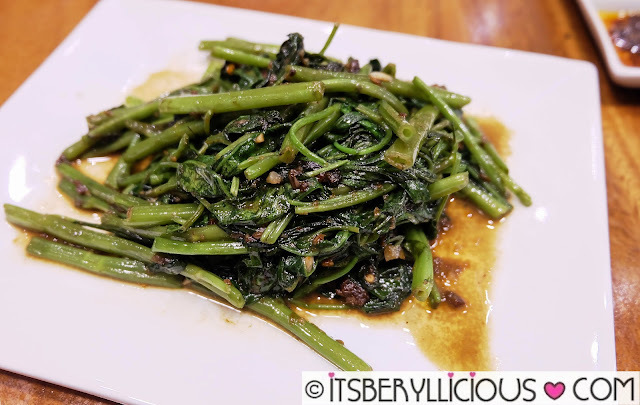 Since D highly recommended Char's vegetable dishes, we decided to order more veggies and got this Chinese Kangkong with Sambal (P195). His recommendation did not disappoint, as we all enjoyed this simple dish enhanced by the addition of sambal or spicy shrimp paste for a mild kick of spice. 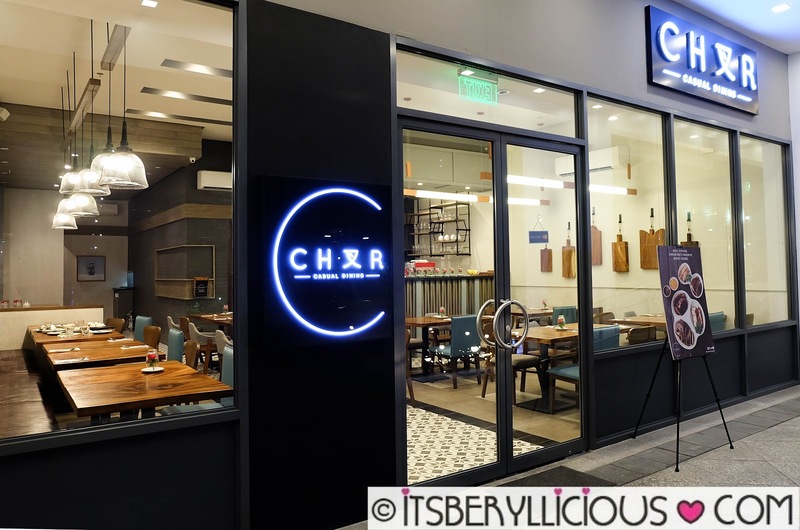 While Char Casual Dining is known for its signature roasts, the vegetable dishes came out as a surprise. They were equally delicious and stood out not just as complementing side dishes, but as something worth having any time of day. Then again, how can you dine at Char and not order those glorious signature roasts of chicken and pork. I got my eyes set on the Roast Duck for our next visit to Char soon!